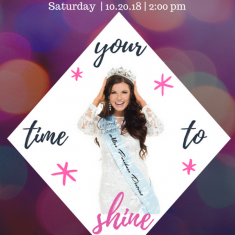 QUICK JUMP: Contestants Pageant Information How to compete in Purchase District Pageant 2018? Open to the women throughout the Purchase District area of Western Kentucky. Registration is open to compete and winner will be awarded a scholarship. 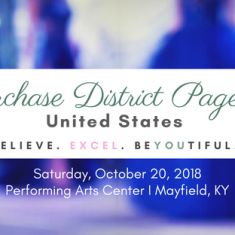 We are excited to be an official preliminary to the Miss Kentucky United States pageant organization. 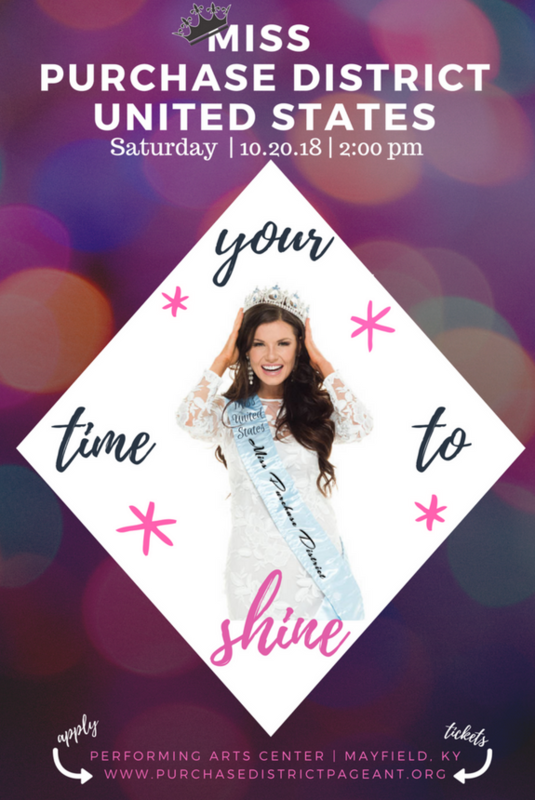 The Miss United States Pageant celebrates intelligent women of all walks of life. Our system is based on a solid commitment to uphold the standards of fairness and integrity. It prides itself in providing an avenue for each young woman to give a voice to those needing to be heard, lend a hand to those less fortunate, and be a compass for those daring to dream. 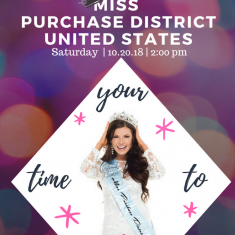 The Miss Purchase District United States pageant seeks to inspire and empower women to cultivate their goals with this platform to serve their community for a cause valued to the winners. 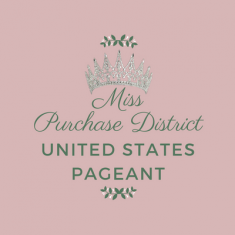 How to compete in Purchase District United States Pageant?